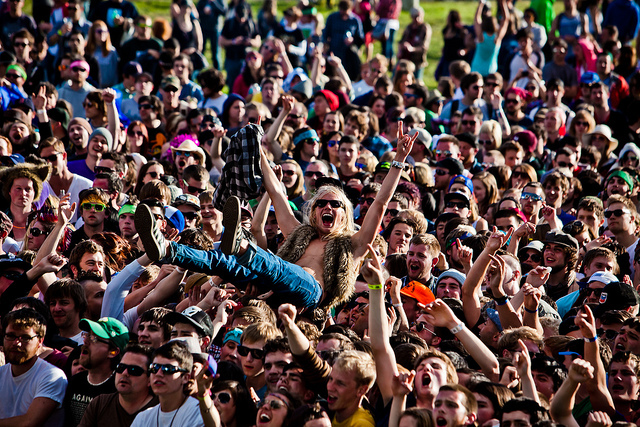 Crowds at the 2011 Sasquatch! 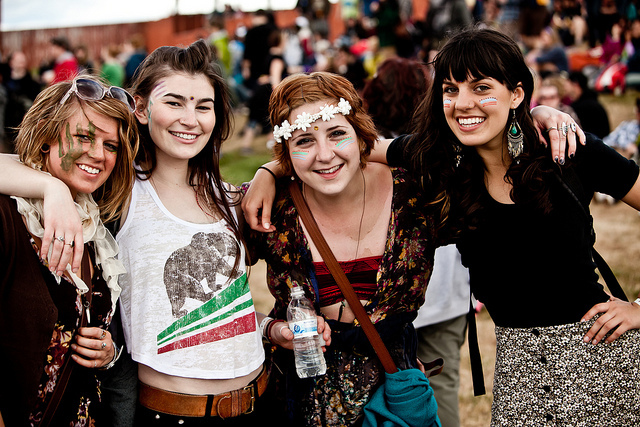 Music Festival, held at the Gorge Amphitheater in Washington state (photo by Christopher Nelson). In what felt like a greatest-hits compilation, some of Sasquatch’s most impressive acts returned to the stage for the 10th anniversary of the northwestern music festival. Held during Memorial Day weekend at the Gorge Amphitheater, the festival was ripe with Sasquatch nostalgia. 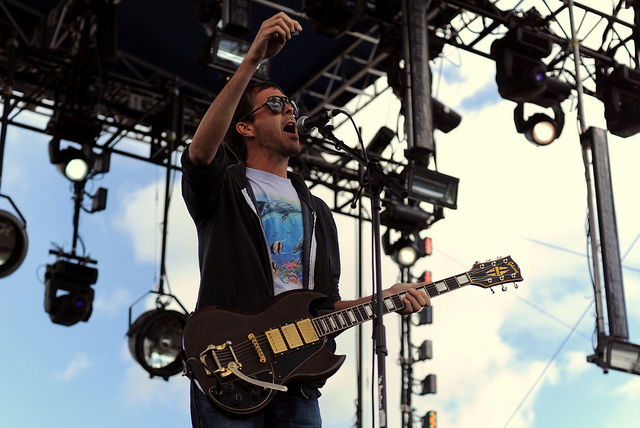 Saturday headliners Death Cab for Cutie, Sunday’s Modest Mouse, Cold War Kids, Flaming Lips, and Monday’s The Decemberists and Rodrigo Y Gabriela, among others, all returned to celebrate the birthday of the Northwest’s popular music fest. Festival promoters estimate 25,000 tickets were sold each day to music consumers–many who paraded out their finest kitsch. From leopard print leotards to body paint to bodysuits, there was no shortage of creative fashion on display. 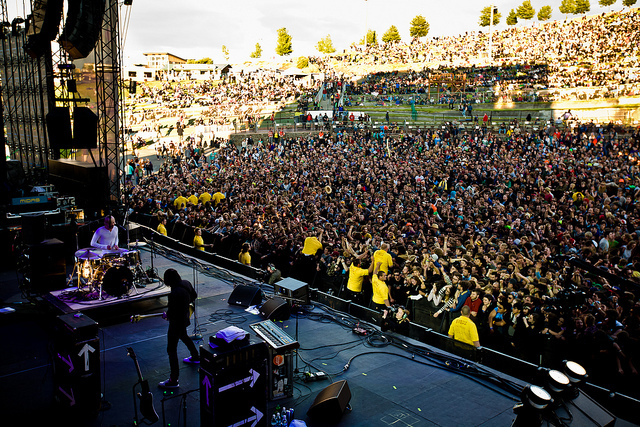 Sasquatch planners extended the festival to four days in 2011 in celebration of its 10-year birthday. 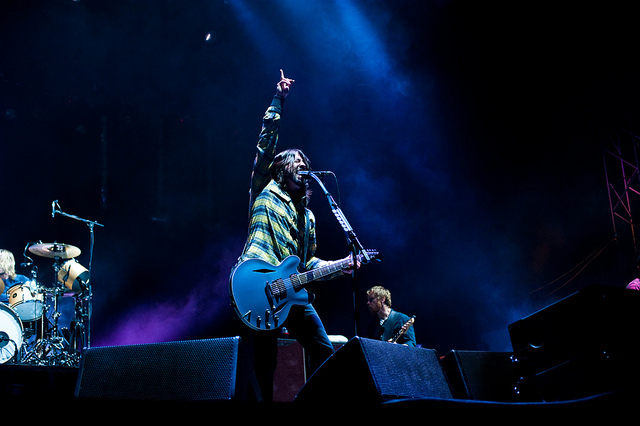 Though initially quiet, the venue filled by Friday evening with fans anticipating the headlining acts, including a reunion of Death From Above 1979 and a performance by the Foo Fighters. 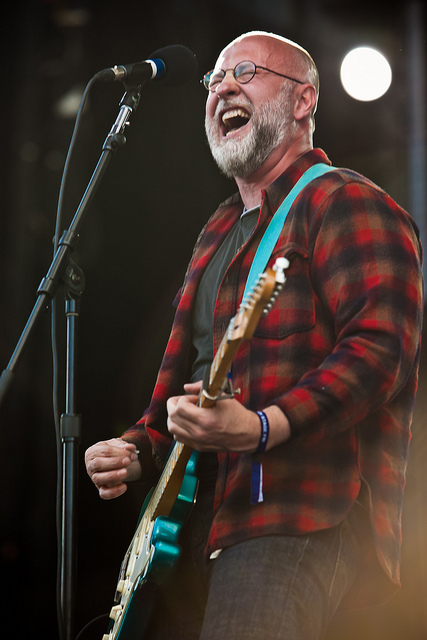 Bob Mould of Hüsker Dü christened the main stage on Friday, his grizzled voice appealing in its familiarity. He stumbled a bit on “Hear Me Calling,” commenting that “I don’t know that one anymore.” Mould discussed his focus for the last couple years, in which he’s spent writing his biography. “It’s a page-turner for your beach activities,” he said. 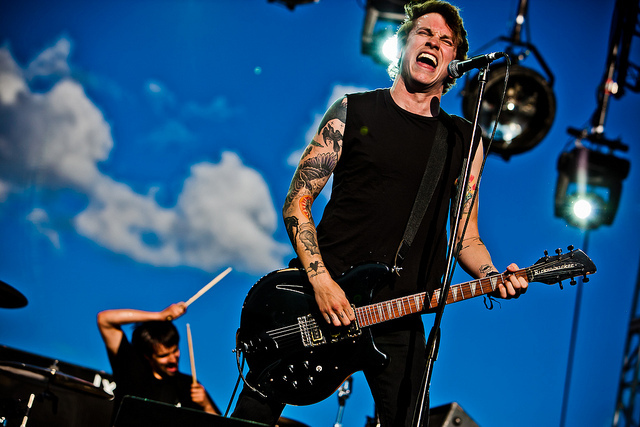 Punk rockers Against Me! didn’t break once through their set, opening with “Pints of Guinness Make You Strong” and clamoring through popular songs from the group’s 10-year discography. Frontman Tom Gabel’s characteristic smile left little doubt he was delighted at the crowd’s reaction. Unusual of Sasquatch sets, Gabel and crew returned to the stage for an encore, singing the classic “Baby, I’m and Anarchist” and “We Laugh at Danger (and Break All the Rules)” as shoes went flying. 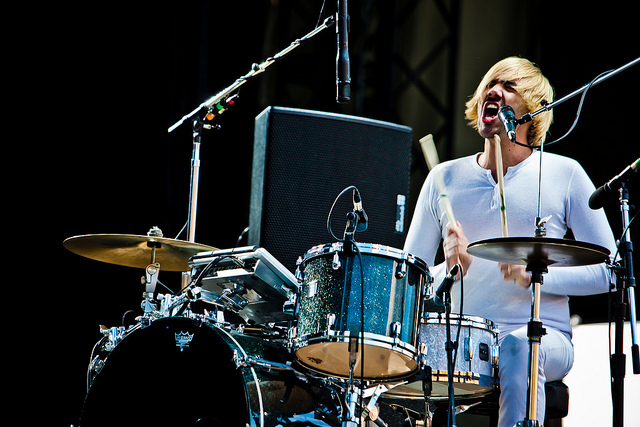 The Foo Fighters followed, opening with “The Pretender,” and it seemed that Sasquatch is all grown up. The group has an important place in Americana and it was delightful to hear Grohl’s screams ricochet through the amphitheater; he hollered to the point of nearly losing his voice. Grohl pointed out the Foo hasn’t played the Gorge in 10 years. “It’s an honor to be here,” he said.